Summer is a great time for PARTIES! 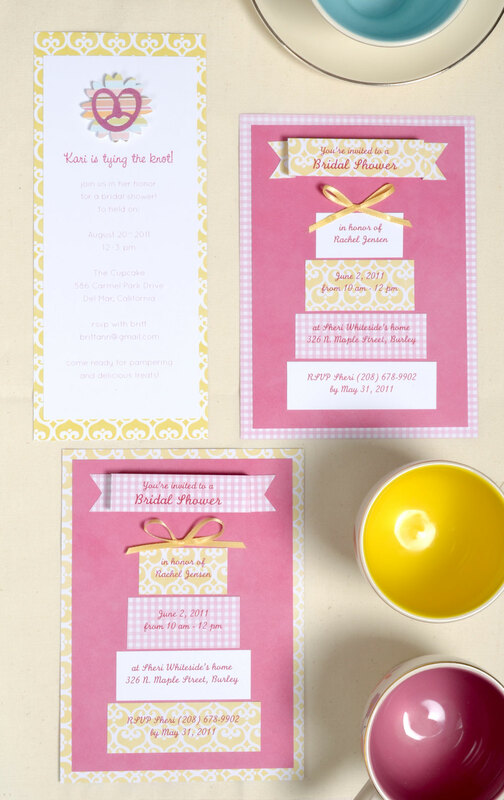 Here are some creative cards and party invites for your next celebration. Think of clever sayings to go with your invitation graphics. The fun graphics from the A Fair Day collection can work for several occasions. For the first invite, we used the pretzel icon and the saying "tying the knot" for a bridal shower. For the other invite, we stacked strips of paper with party information to create a tiered cake. Then we tied a bow at the top and added a mini folded banner for our "title". 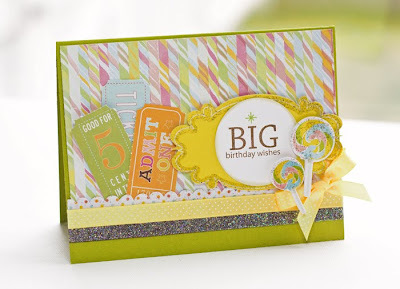 Lisa creates amazing cards! She contributed this sweet card to our fair week. The lollipops work great in combination with the candy stick paper. 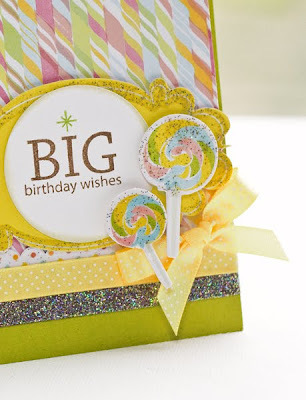 We love how she used the A Fair Day graphics for her BIG birthday wishes. Remember, there are still two more days of our week long A Fair Day summer celebration. So, check back again. We will have a giveaway at the end of the week! Such cute invites! The cards are great too!